Along with that big, bezel-free screen, Face ID is the standout feature of the iPhone X. It lets you unlock your phone just by looking at it, but it also does other things – including, apparently, hiding your notifications from unknown faces. 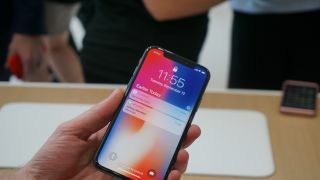 According to Phone Arena, a setting on the iPhone X will ensure that lock screen notification content will only be shown if Face ID recognizes you as the owner of the phone. If the scanner detects that someone else is looking at the screen it will just show the source of the notification, rather than the content within it. If it works well this could be a useful feature, though it remains to be seen how speedy and reliable Face ID will be in practice. And if you don’t have an iPhone X you won’t be completely left out of the notification fun, as iOS 11 already enables you to choose to only show notification content when your device is unlocked. It’s a less futuristic take on the feature, and something Android’s been doing for years, but it’s still handy – and a lot more affordable than the $999 / £999 / AU$1,579 you’ll have to drop on an iPhone X to get the more advanced version.